4Q17 earnings of c.S$7.7m impacted by forex but core growth momentum (+32.9% to S$10.6m) remains firm. YTD declines in USD/MYR and USD/CNY imply that forex headwinds may extend into 1Q18. Ahead of the ramp-up in Penang, the promise of a higher dividend for FY17 (and potentially higher payout in FY18F) should provide some support for the stock. Maintain BUY with Target Price of S$2.70. 4Q17 performance trends broadly similar to 3Q; dividends raised for FY17. Broad trends observed in 3Q17 extended into 4Q. Notwithstanding ongoing currency headwinds, Sunningdale’s top- and bottom-line performance held relatively steady q-o-q, in line with our expectations. Notably, the group saw record Automotive sales of c.S$67.7m. Contributions from Mould Fabrication were also sustained at higher levels, which may have positive implications for the group as some of these projects could be converted into commercial contracts for the group later on. Overall, we like Sunningdale for its strong business fundamentals and as a dividend growth play. Sunningdale has paid increasing dividends over the last six years, from 3 Scts in FY12 to 7 Scts for FY17. Backed by strong core growth, operating cash flows and lower capex needs, we believe dividends could further rise to 7.5 Scts (or higher) in FY18F. We believe that Sunningdale’s world-class engineering capabilities, global presence and diversification are under-appreciated, and the stock deserves to at least trade at the global average valuation of 13x FY18F PE vs consensus’ average of 11x. 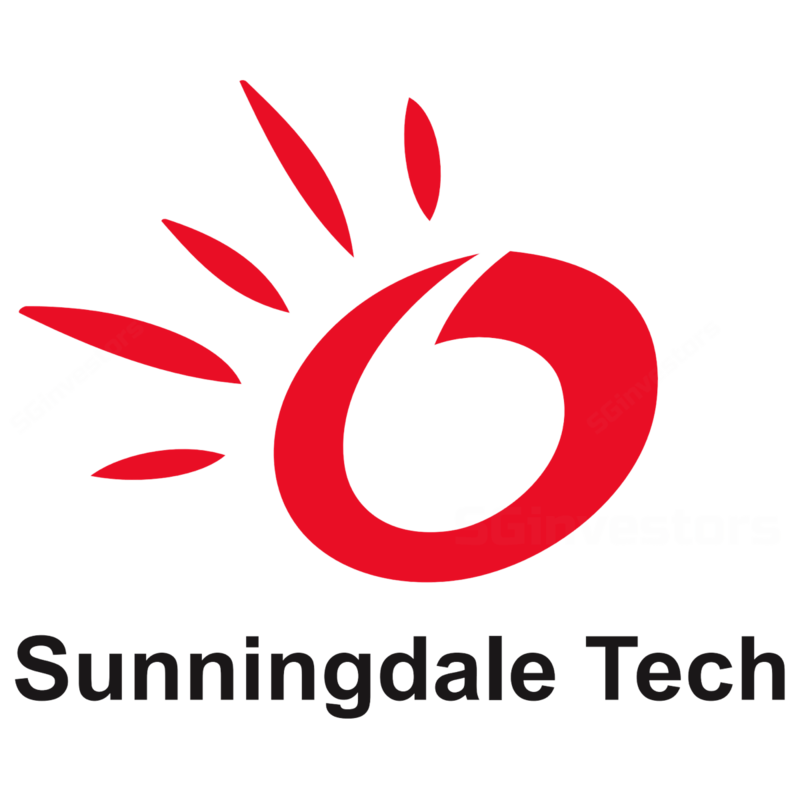 Sunningdale’s share price should re-rate as it delivers steady earnings growth or value-accretive acquisitions. Positive underlying trends and strong fundamentals underpin steady growth outlook. favourable demand outlook across the group’s three key end sectors, indicate longer-term potential. As the group grows capacity, ramps up production and strengthens business development efforts to ride these positive trends and unlock greater economies of scale, we project core earnings to grow at an 15% CAGR over FY16-18F. Maintain BUY with a Target Price of S$2.70, based on 13x FY18F PE. Offering a lower risk-reward profile vs local peers and higher growth vs the bigger boys in the US, our Target Price at S$2.70, which is based on global average of 13x FY18F PE, is fair. Global economic slowdown could pose significant challenges to Sunningdale, especially in Consumer/IT and Automotive. Sunningdale’s sales momentum was sustained in 4Q17, with top line coming in at c.S$187m (vs S$188.1m delivered in 3Q17). Notably, the company saw a record contribution of c.S$67.7m from the Automotive segment, which represented c.36% of consolidated revenues. Notwithstanding lower q-o-q contributions in 4Q17, mainly due to the advancement of orders to earlier quarters, Consumer/IT remained the key source of revenues of the group at c.38% of sales. Earnings also held steady at c.S$7.7m (essentially flat q-o-q) despite volatile foreign exchange environments for the USD/MYR and USD/CNY, which resulted in foreign exchange losses of c.S$2.8m. Over the quarter, we observe that the USD/MYR and USD/CNY fell by 3.7% and 2.3% respectively. Barring the currency impact, core growth momentum was otherwise strong, and we estimate that core earnings would have been c.38% higher, closer to S$10.6m: Brace for further forex weakness in upcoming 1Q18 as declines in main currency pairs imply that forex headwinds may extend into 1Q18. Stronger growth to kick in from 2Q18 onwards. With the Penang plant set to kick in from 2Q18, we anticipate a gradual ramp-up in new projects and sales. We also view the high, sustained contributions from Mould Fabrication (for the second consecutive quarter since 3Q17) positively as history suggests that some of these projects could be converted into commercial contracts for the group later on. Ahead of the ramp-up in Penang, the promise of a higher dividend for FY17 should provide support for the stock. Subsequent to the group’s inaugural 2.5-Sct dividend for 1H17, a final 4.5-Sct dividend has also been proposed, bringing payout for FY17 to 7 Scts per share. Supported by steady operating cash flows, Sunningdale’s dividend payout has been on a rising trend, and compared to local small-cap peers, stands out as a dividend growth play: Maintain BUY with Target Price of S$2.70. Our earnings projections and recommendation remain largely unchanged as expectations of higher growth in FY18F are largely offset by higher assumed tax rates of c.20% vs c.17% previously.